NO. 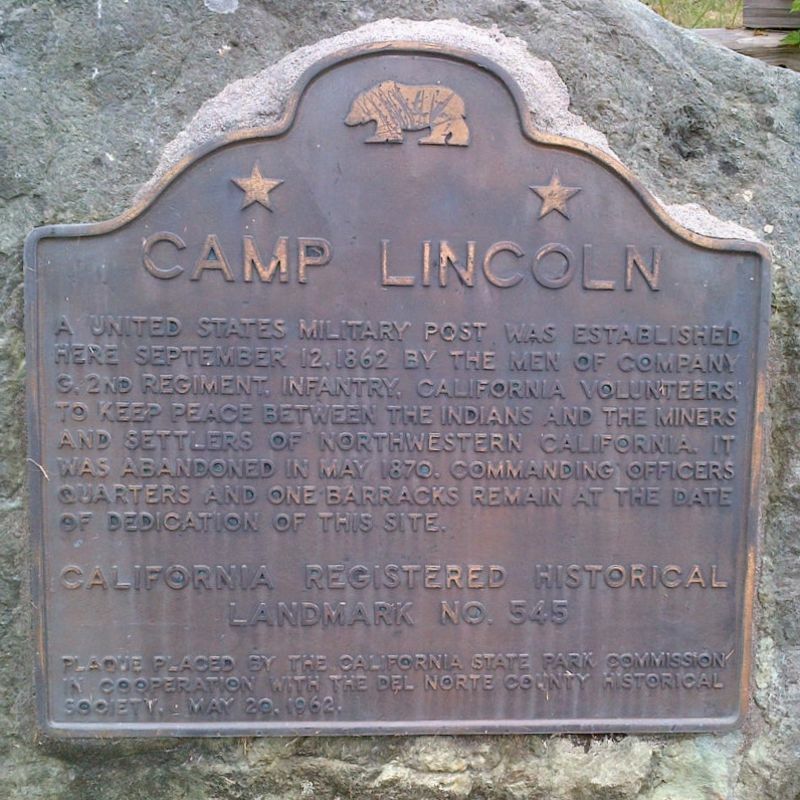 545 CAMP LINCOLN - A United States military post was established here September 12, 1862 by the men of Company G, 2nd Regiment, Infantry, California Volunteers, to keep peace between the Indians and the miners and settlers of northwestern California. 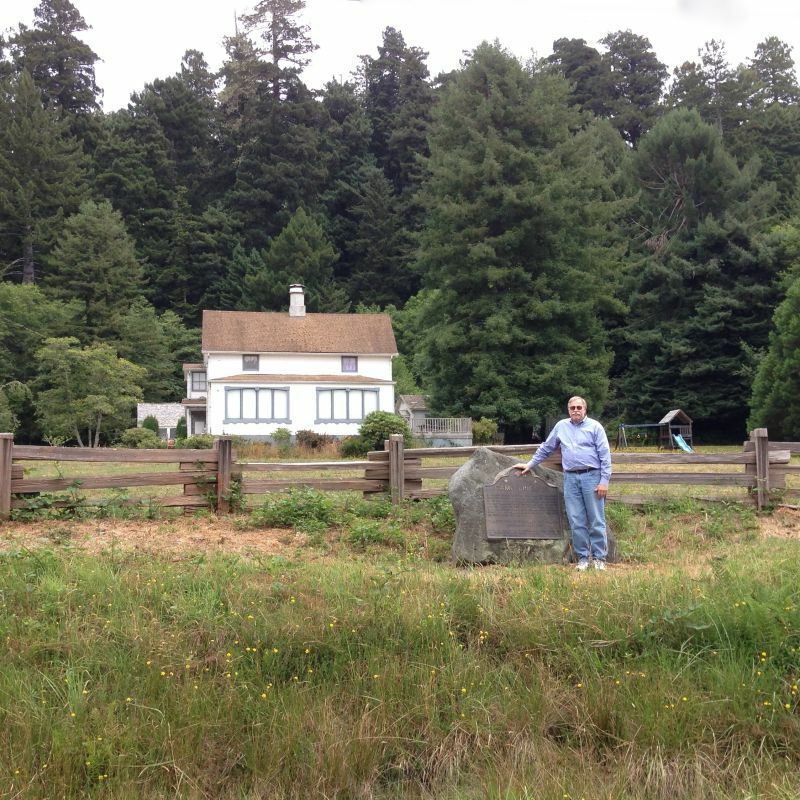 It was abandoned in May 1870. Commanding officer's quarters and one barracks remain at the date of dedication of this site (1962).